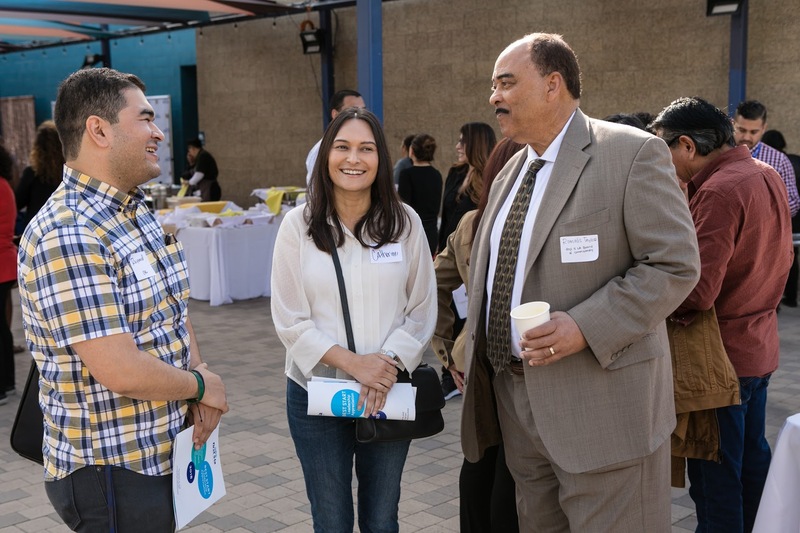 In this month of thanksgivings, those were the themes of a special day when First 5 LA expressed its gratitude to community leaders for all of their past, current and future efforts to ensure that the young children and families in their communities get their best start. “This is a small token of appreciation to these courageous community leaders who have never given up on their children, families and communities,” First 5 LA Communities Director Antoinette Andrews-Bush said of the Best Start Leadership Appreciation celebration held on Nov. 16 at La Plaza de Cultura y Artes in downtown Los Angeles. 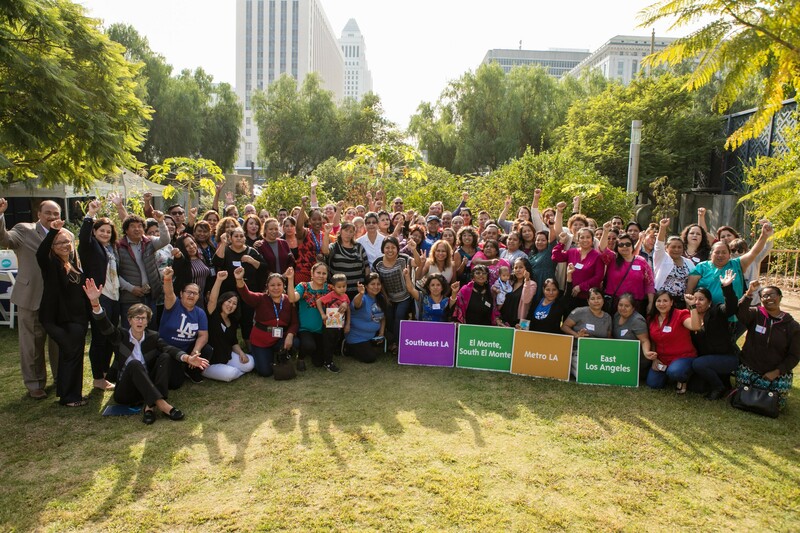 In 2010, First 5 LA created and managed the Best Start Community Partnerships in 14 geographic areas throughout L.A. County, bringing together and amplifying the collective voice of parents, residents and leaders to help create lasting change in their communities that promote positive outcomes for young children and their families. Together, they work to improve systems and increase access to resources and services such as health, transportation, child care, early education, and more. Since its inception, Best Start has engaged more than 21,000 parents and residents. One of those original Best Start community leaders is now a First 5 LA leader: Commissioner Romalis Taylor, who expressed his gratitude to the gathered Best Start leaders. First 5 LA Executive Director Kim Belshé noted the similarities between the community leaders present and those who worked to restore adjacent Olvera Street when it was neglected and nearly abandoned 90 years ago. One of those was keynote speaker Maria Elena Chavez, a former leadership member of Best Start Southeast Los Angeles and the daughter of civil rights and labor leader Dolores Huerta, who started out as a teacher. Yet her mother persevered to inspire many others to stand up for themselves, said Chavez, who called on Best Start community leaders to persevere in their efforts to help improve the lives of young children. For their part, community leaders in attendance were grateful for the recognition they received at the event . . . and even more proud of the recognition they receive in the community for the work they do. Outreach to the community was praised by many leaders, including Bryant, who noted that a recent cardboard car show held by their partnership attracted a number of fathers who were previously unaware of the resources in their community. Amelia Rojas of Best Start Panorama City & Neighbors touted her partnership’s reading program at two local schools during the summer. “We also work with parents so they can explore reading to kids at an early age,” Rojas said. On a personal level, being a leadership member has helped many participants develop new skills that can lead to success in life – for them and their family members. The evolution to a new regional support network, too, has reaped benefits to the partnership, Jones said. What’s next for the leaders in Best Start?